Being an outgoing, social kind of gal, working as a golf course beer-cart chick is perfect for Nicole Kallis. I'd never consider it a "career," she writes, but as an in-the-meantime job that helps me make ends meet, it's great. Where else can you be a bartender with 100-plus customers wanting a breakfast of Bloody Marys, beer, or gin and tonics? No bar I know of. 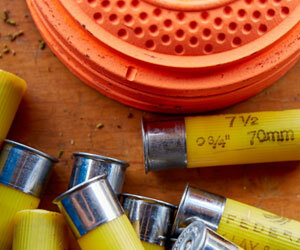 Two nights, one 18-hole round, Trap and 5-stand shooting and River Wildlife access.